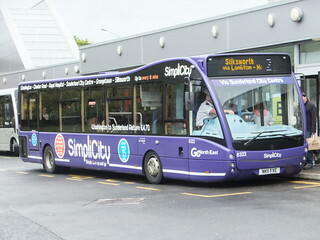 This vehicle has entered service at Percy Main Depot on "Cobalt Clipper" services 309/310. 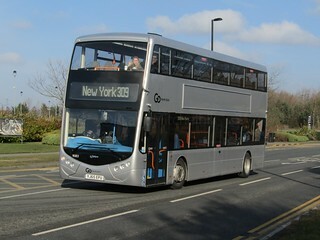 As it is planned for this vehicle to be allocated to Percy Main Depot for use on "Cobalt Clipper" services 309/310, this vehicle has been repainted into a metallic silver base livery prior to entering service at Go North East. 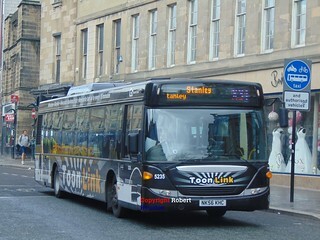 It has also been fitted with advertisement frames, so will only receive basic fleet names rather than being fitted with route branding. 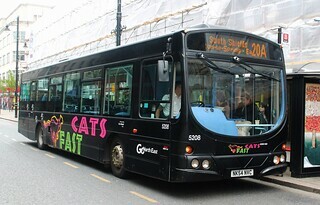 With "Lambton Worm" branded Optare Versa V1110/Optare 8303 (NK09 FCD) having sustained severe fire damage due to an electrical fault whilst operating the final journey of the day on "Lambton Worm" service 34A on 17th August 2017; Optare have supplied this vehicle, in addition to Optare Versa V1170 Hybrid/Optare 9084 (YJ64 DZM) as a courtesy vehicle on long-term loan to cover for it. 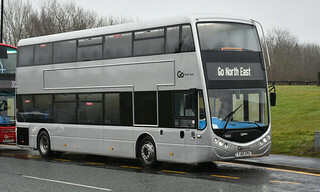 Numbered 9083 in Go North East's fleet for the duration of its stay, it is expected to be allocated to Percy Main Depot. 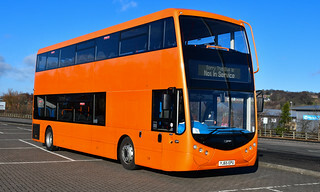 It will be treated like one of Go North East's own vehicles during its loan period, being fitted with standard fleet livery vinyls, advertisement frames, and a cab area assault screen. 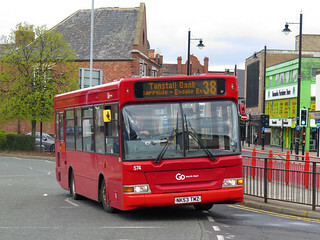 As Optare were not able to repaint this vehicle on Go North East's behalf prior to delivery, Go North East will repaint it grey themselves, prior to entering service.